Suchy’s Minnows is a second generation family owned and operated business. We opened shop in 1958, with one Ford pickup and a good work ethic. Over the years we have taken that good work ethic and developed it into a solid reputation. At Suchy’s we pride ourselves in making sure that the products and services we provide our customers are of the highest quality. 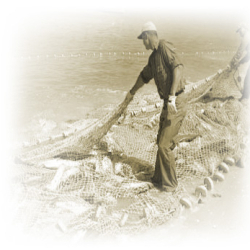 Suchy’s Minnows has always recognized the importance of maintaining our relationship with the local fisherman. When talking with any of our regulars, they will tell you that we still use the honor system at Suchy’s. If you are looking to buy a dozen minnows for a day of fishing, you can do so by taking a bag from the self serve refrigerator in front of our establishment. We then trust that you will place the payment into the drop box. This is just one example of what a trustworthy and reputable company we are. At Suchy’s we know that our success is dependent on you, the customer. Which is why we want to put our reputation on the line every time you cast.